There are a lot of other ingredients that compromise a Mediterranean diet but the above should be in abundance in your pantry. Identify the best sources for buying them cheap as well as alternatives. In some cases feta or halloumi cheese can be very expensive so it’s good to find other material that substitute it. A very common theme in Mediterranean countries is the fact that produce usually comes fresh and it makes a vast difference in the cooking and taste. A lot of recipes call for herbs to be added but usually the herbs are fresh. Finding local retailers that carry the necessary herbs and produce on a regular basis will help you maintain the diet. Diet Schedule Before you start on the diet it is a good idea to create a diet plan for the week. This will help you be organised in your shopping and cooking. Keep in mind that red meat is a rare ingredient in a Mediterranean diet and that fish (especially certain species) and chicken are a lot more prominent. Create a schedule that favours one meat free in regular intervals. Also be aware that even white meat isn’t usually consumed twice a day. After trying some of the recipes you should choose some of the dishes to become staples into your diet. In most households these staples usually come in the form of legumes. 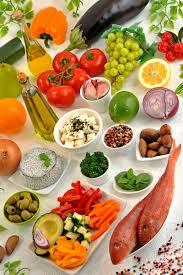 Transition Transitioning from an everyday diet to a Mediterranean diet is easy if you aren’t a creature of habit. In order to get used to the higher fibre content as well as the complex carbohydrates, incorporating a Mediterranean dish per day will help the transition. It is also important to phase out the red meat. A very simple method of transitioning easily is to have set days for your white and red meat intakes. Usually in Mediterranean countries this is governed by religion but it is good practice to follow. Eventually when the dishes are incorporated into your diet you can plan other recipes and dishes around those. Keep in mind that dishes not traditional to the Mediterranean cuisine don’t necessarily count as diverting from the diet as long as they fill the criteria. Variations Sometimes it may not be easy to cook every meal and this is common for a diet that often requires long cooking or preparation times. A good practice is to include variations of your meals or look for quick recipes that incorporate the main diet elements. 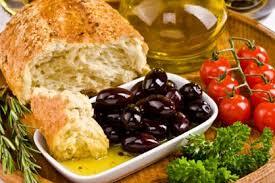 For example, black eyed beans in a Mediterranean diet are often accompanied by whole wheat bread and tuna and onion. A good alternative to cooking the beans in a pot is to cook the beans and make a black eye bean-tuna sandwich. A lot of the recipes can be adjusted to fit a faster life style if prepared before-hand and incorporate the main criteria of a Mediterranean diet. Seasonal changes A good thing to keep in mind in a Mediterranean diet is that there are usually two times of the year where a fasting period occur. This was established with religion but also works great as a body cleanser. The fasting period usually means the exclusion of red meat and dairy products. In some cases it also excludes fish and chicken but may allow crustaceans and cephalopods. It is a good idea to investigate the fasting periods of the Greek Orthodox Church and the Catholic Church to get an idea of when they occur as well as what they allow. This isn’t an obligatory step but will work great if you are interested in getting an authentic experience or want to cleanse yourself. Alcohol Mediterranean culture and the diet treats alcohol in a very different way that some other countries do. The predominant beverages are wine and beer with some local spirits such as ouzo and zivania occasionally consumed. Alcohol is rarely incorporated in the cooking process itself but instead consumed with a meal or while cooking. A usual diet includes up to three wine glasses a week. A preference is given to red wine which usually is served during days where red meat is served. Deserts Deserts usually vary a lot by country but a good guideline is to avoid desserts with a lot of cream and sauces. Usually ice cream (with a preference to sorbet) and some simple cakes, chocolate or preserved fruits constitute a dessert although they are rarely served. Instead there is a preference for coffee and sweet fruits or raisins.